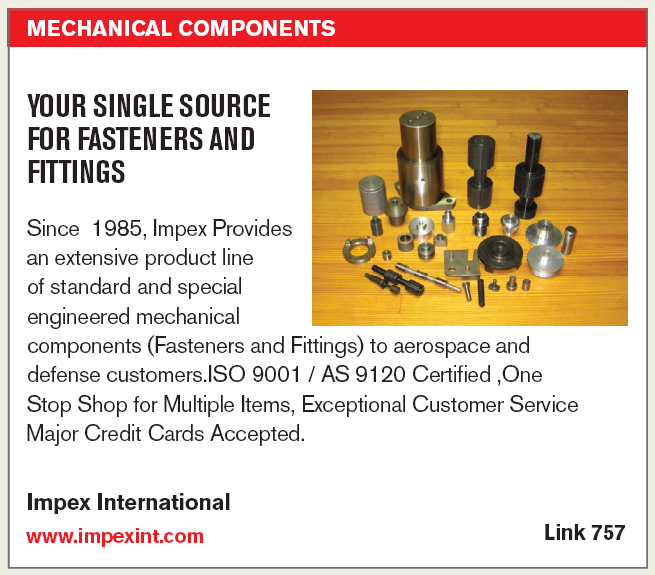 Impex International Inc. provides quality mechanical hardware and related components to the Aerospace, Automotive, Industrial OEMs, Construction, and their subtiers worldwide. Our service is world-class and our products are delivered with the highest quality and efficiency. At Impex, we always deliver what we promise and promise only what we can deliver. Click on the items below for more information and product details. View product information or request a quote. View a list of core products including mechanical hardware and related components. At Impex, our service is rooted in a firm commitment to quality and reliability.